Install your module in back office. No other action is needed in back office. 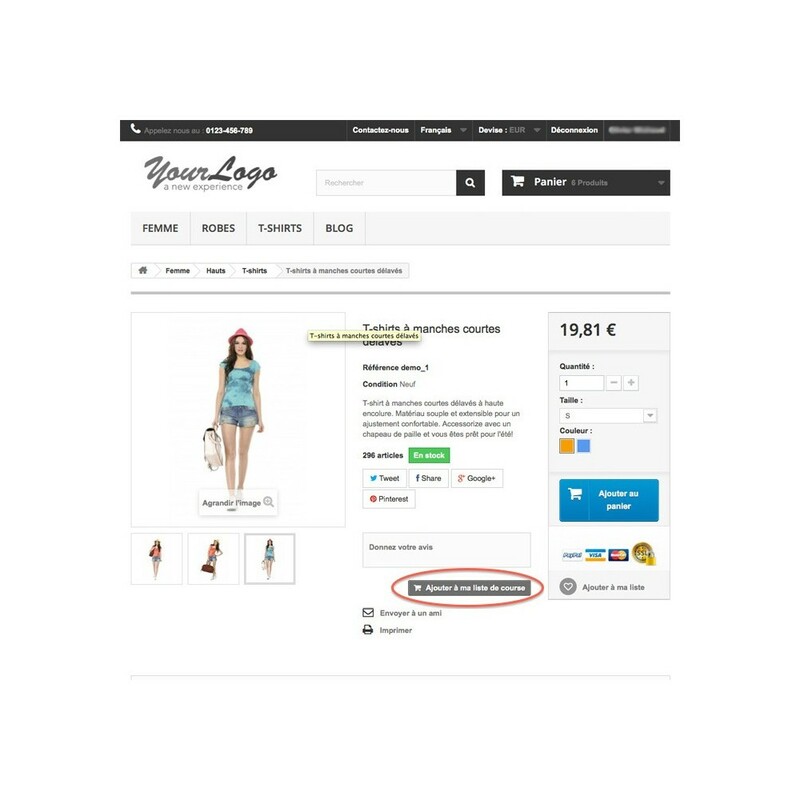 In the product information, you can display a button that will allow the customer to add the current product in one of his shopping lists. 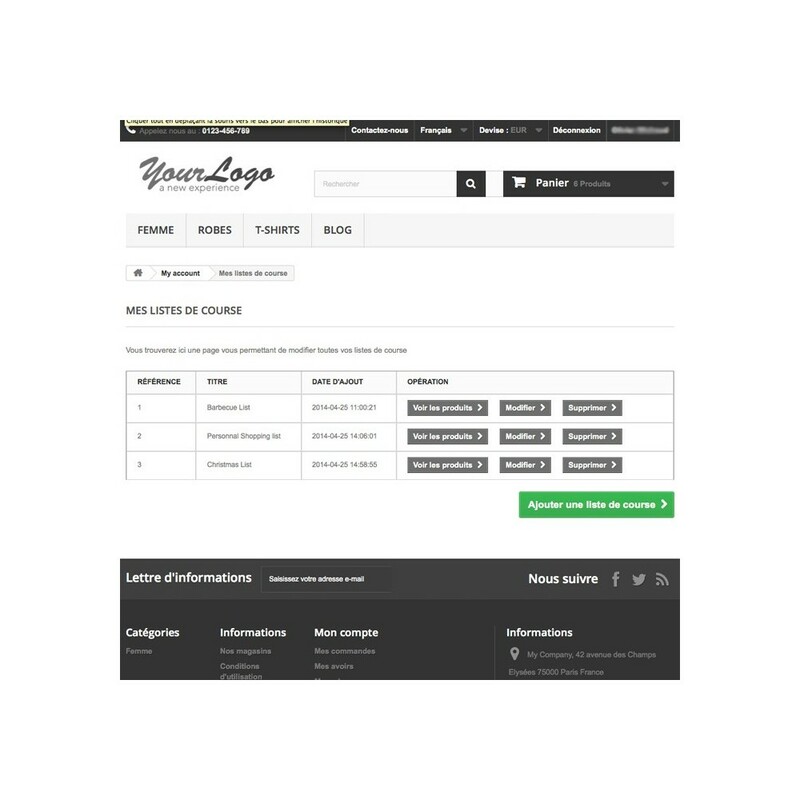 This addition is made by Ajax meaning that it will not leave the current page while being added to the list. 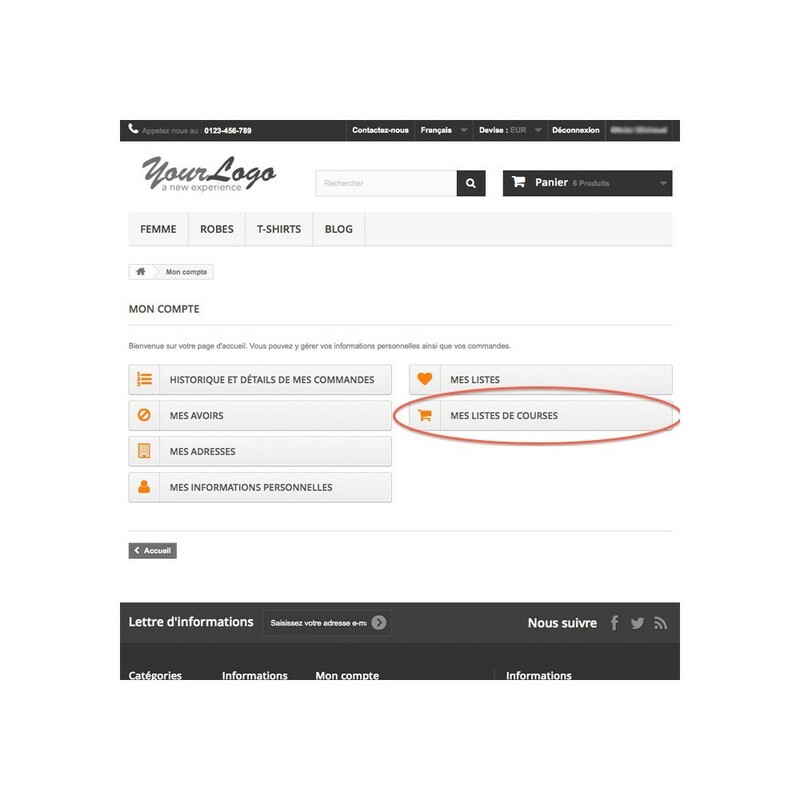 The clients can manage their lists in their account. They can therefore add / edit / delete their lists. 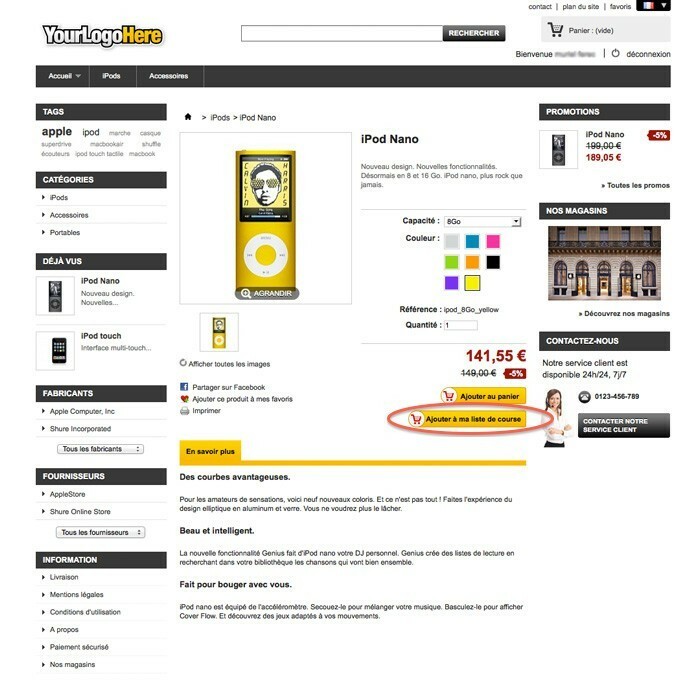 Each list displays a summary of the products it includes and offers the possibility to add one or all products to the shopping cart. Error handling if a product does not exist or is not active or is not available for sale or there is not enough stock. In this case, the customer is warned/informed that the addition to the shopping cart failed. 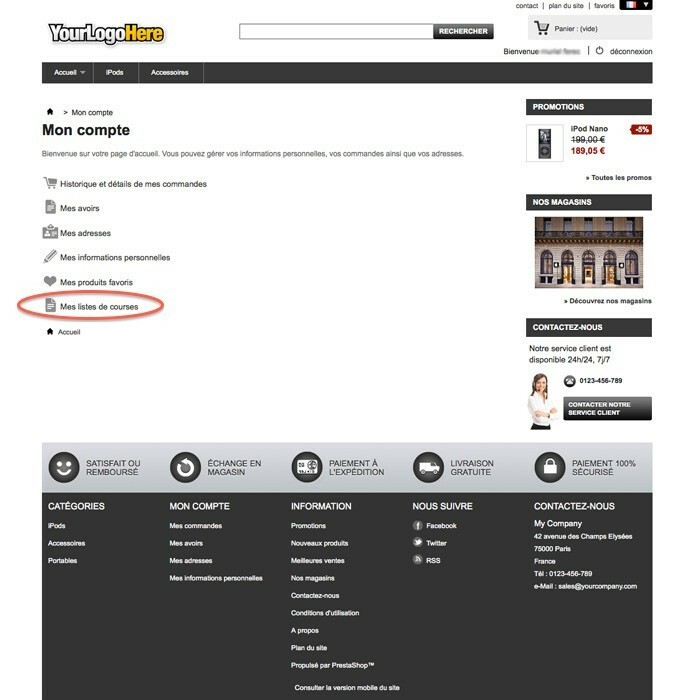 In front office, customer(connected) can add some product to his shopping list (a button appear under 'add to cart'). In his account he can manage (add/edit/delete) his shopping list and manage the product associate to the shopping list.